Summer is our favorite season! No, seriously - despite the sun bearing down on us, we just love all the great clothes and accessories we get to experiment with. So, here’s how to not let the heat get you down and how to look sizzling hot while staying super cool! Pants are not a strict no-no this summer! Pick up this comfy pair and match it with a cute polka-dot crop-shirt for a very easy going look. 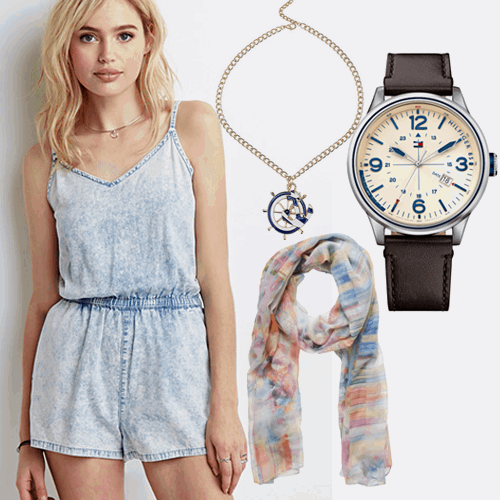 It’ll keep you going all day, especially since you’ve got this elegant silver watch to go with it, of course! Its lines are very contemporary and pristine. Now, all that’s left for you to put on is a dazzling pair of earrings and your favorite pair of sunglasses and you’re ready to conquer the world! 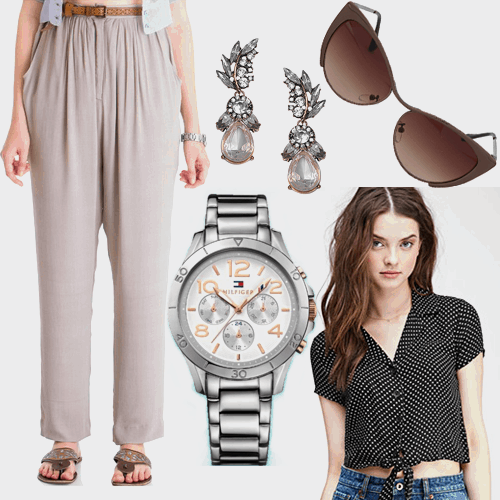 Get The Look: Polka Dot Cropped Blouse, Ice-cream Sundae Trousers, Drop Crystal Leaf Earings, Tommy Hilfiger Watch (Rs 9,995) *This is a sponsored post for Tommy Hilfiger. Shop the complete collection here.